On November 22, 1963, one airplane flight changed not only the future of Central Florida but also that of the entire nation. Aboard the plane was Walter “Walt” Elias Disney, the creative genius who ushered in a new era of American entertainment through his animated feature films and Disneyland theme park in Anaheim, California. From his window seat, he looked down on thousands of acres of rural swampland and orange groves, an environment that hardly seemed ripe for what would become one of the largest private developments ever in the United States. 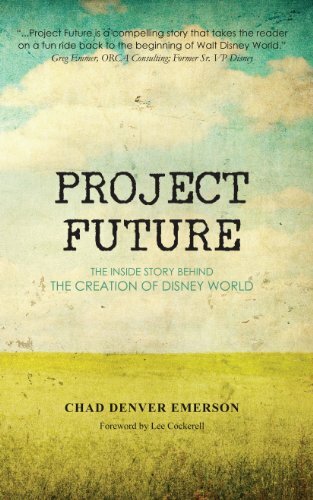 Yet, with his foresight, he saw an opportunity where other people did not, so much so that a small team of Disney confidants soon began acquiring twenty-seven thousand of those isolated acres for what would become the iconic Walt Disney World Resort. Even before that plane flight, Walt’s interest in creating an eastern project to accompany his Disneyland park in California had been piqued. This story recounts the amazing set of events that enabled Walt Disney’s vision to become a reality.